What we had here was a good hot dog. There was nothing spectacular about it, and nothing unique to set it apart. The all beef taste was present, but it was lacking the snap, and lacking the toasted bun that I adore. What made this dog special was the environment it was eaten in and, most notably, its size. For all of you size queens out there, this dog is the dog for you. 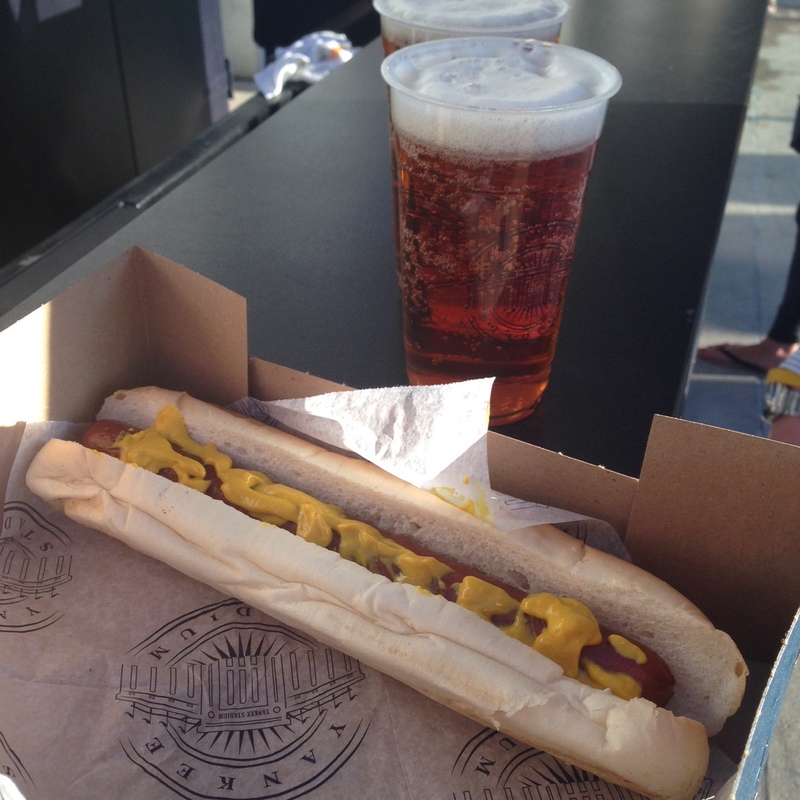 This was honestly, truthfully, a foot long. I’ve had other footlongs, but this one seemed bigger and better. To quote the great Yogi Berra, the future ain’t what it used be. But I can tell you all with confidence, there are traditions that will always stick. 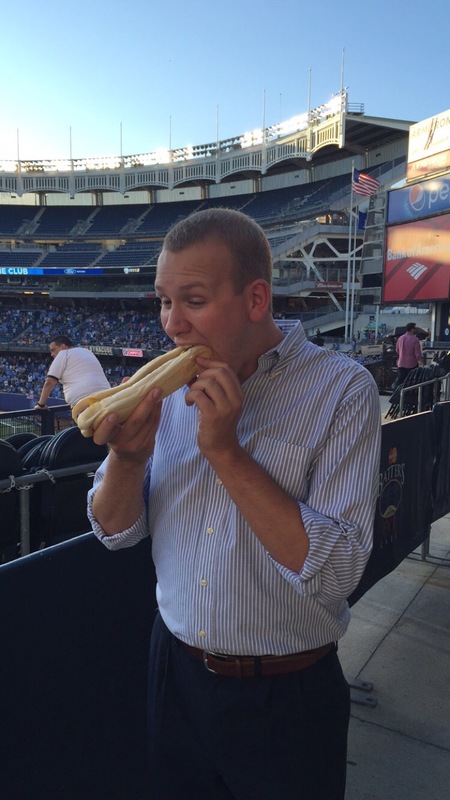 The tradition of eating a hot dog in August at a baseball (or soccer) game is one that will be here forever. One day I hope to have a kid or kids and show them this tradition. 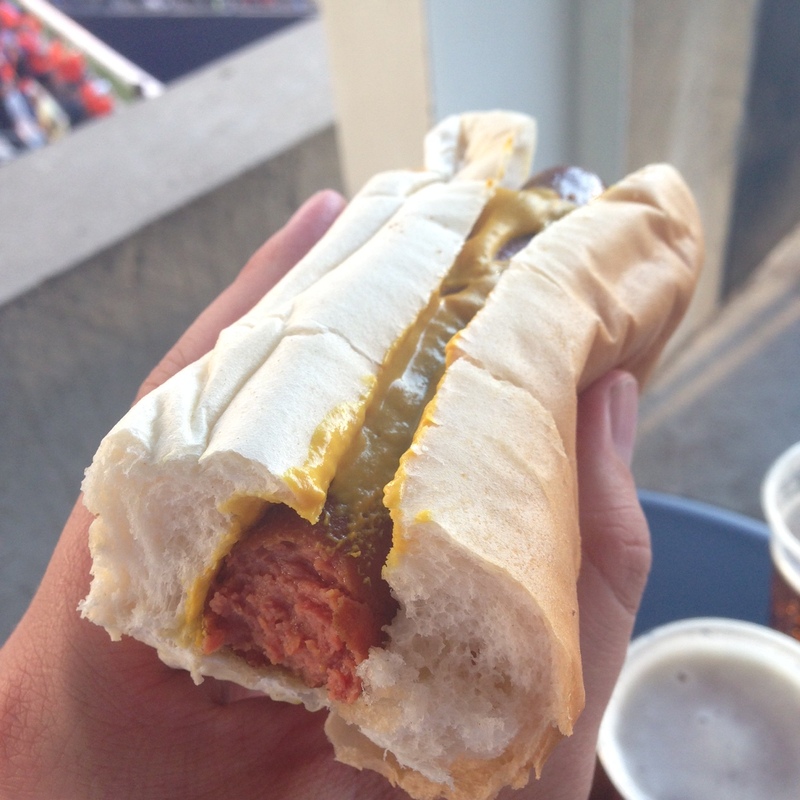 Like a King passing his crown down to his Prince, I hope to pass down my hot dog to my son. So, the message here is not the rating that you see below, it is a message of American spirit. It is a message of family, hard work, and patriotism. God bless America.